Director of consumer protection for the Consumer Federation of America, Susan Grant, says the safest thing you can do if you receive one of these calls is to simply hang up. According to the FBI, scammers are preying on people’s hearts and wallets in a new growing trend called romance scams. It starts off simply enough — you meet someone through the service that seems like a likely match and contact is made. Things intensify quickly. It seems like a dream romance. Beware anyone you meet through online dating services who ask for financial gifts or favors (even if he or she is the “love of your life.”) This could be a play to get access to your checking account. John Podesta, chairman of Hillary Clinton’s presidential campaign, fell for a phishing scheme last year when he reportedly received an email from Google asking him to verify his account. Unfortunately for Podesta, the email wasn’t from Google, but was from a scammer — a scammer who now had all the info he needed to hack Podesta’s Google account. 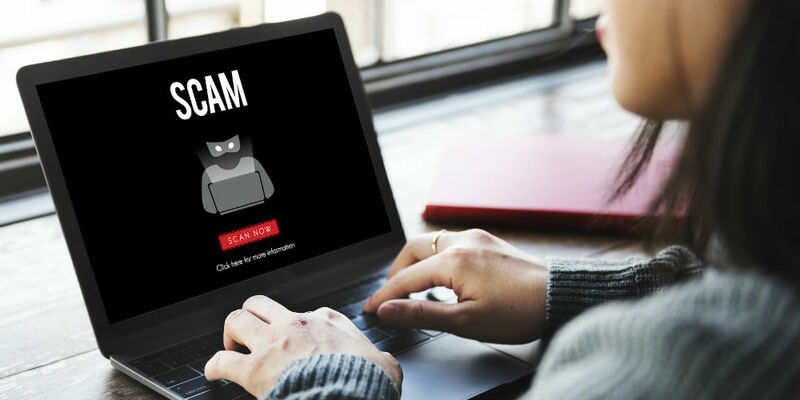 Software like Photoshop makes it easy for even a mediocre hacker to convince you that they are with a trusted organization like Google, your credit union or another company who handles sensitive matters for you. Before you give over info, even basic info, remember the painful lesson learned by Podesta and other politicians: email isn’t secure. Never share sensitive information over email.